Bio for Bailey: Hi, my name is Bailey! Approximate DOB January 2017. I am a sweet, lovable girl who likes to play! In fact, I play with both my foster brother AND sister all the time! Sometimes I can be rambunctious, but I am VERY smart and have learned to give them space when they want it. 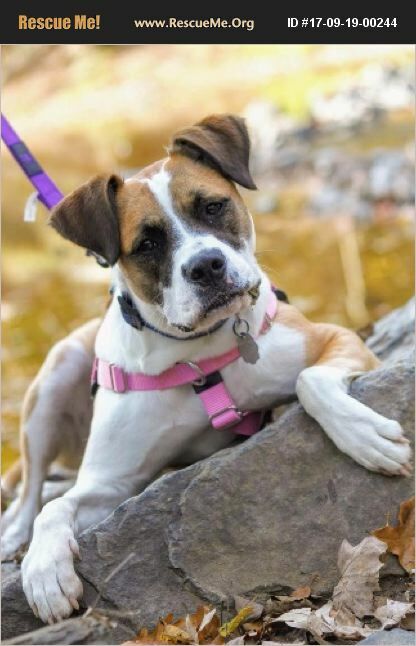 I am an outgoing girl, who loves to socialize, and I am working on my manners, in order become a proper, well-behaved young lady :) I am also working on my leash training, but I have been pretty perfect when it comes to being house and crate trained, and I am very gentle when I take my treats. I am super affectionate and will lay my head on your chest when we are on the sofa together. I have the softest fur, and not to brag, but I am pretty much a beauty! I am just waiting for a fun, active family to take me on adventures and show me the love I deserve!